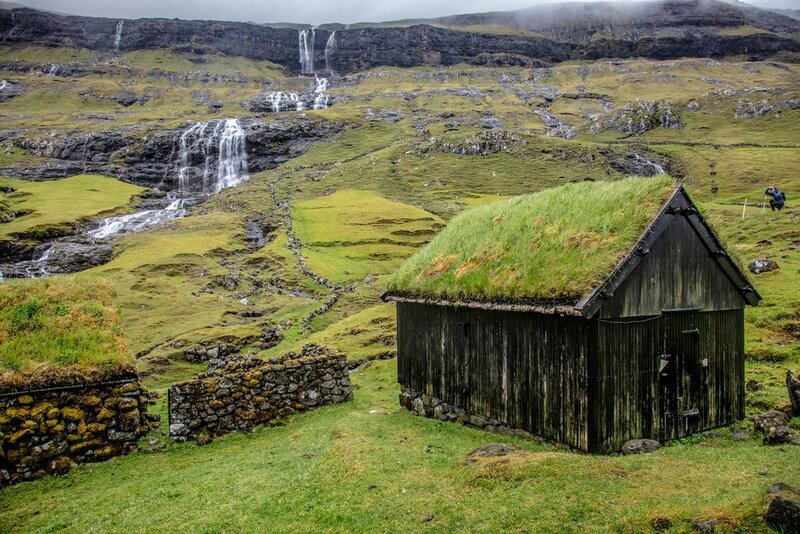 From the small and cozy capital of Tórshavn to the historic villages of Kirkjubøur and Tjørnuvík, explore the cultural and natural highlights of the Faroe Islands. Visit the 14th-century Magnus Cathedral, take a ferry for a day trip to Mykines island, and explore Mulaføssur waterfall. End your trip with a visit the Vestmanna cliffs to see thousands of nesting seabirds. Welcome to Tórshavn, the capital of the Faroe Islands. A representative from Heimdal Tours will meet you at the arrivals gate. Relax and enjoy the views on the way to your accommodation in town, about a 45-minute drive away. After checking in, head out for a walking tour of the old city to see the sights. Explore narrow cobblestone streets to see hundreds-year-old traditional wooden houses with grass turf roofs, then head to the waterfront. Here you will visit the old fortress, the marina, and the old parliament buildings. In the evening head to a local bar or cafe for dinner and live music to welcome you into the smallest capital in the world. Catch the ferry to the island of Mykines from Sørvágur in the morning. Once you arrive head out for a guided tour of the village and a stop at a local cafe for a hot drink. 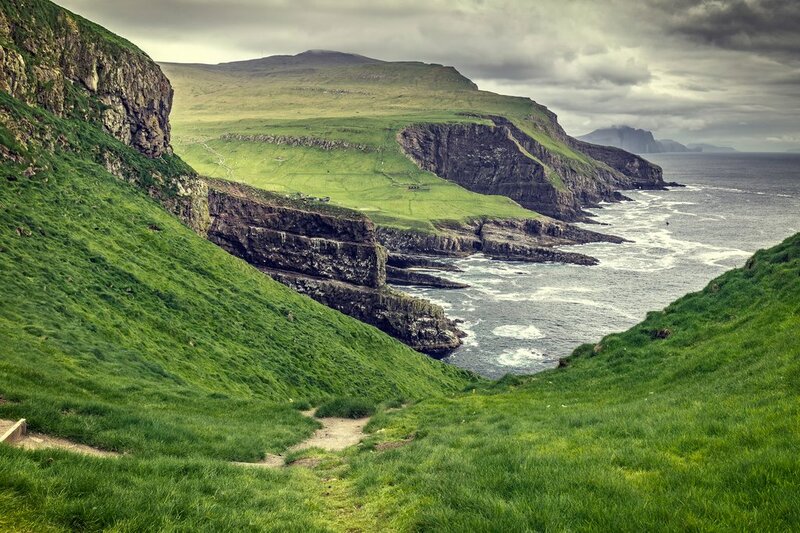 Continue the tour on a short hike to see the lighthouse on Mykineshólmur, which is connected to the main island by a wooden footbridge over a 114 ft (35 m) gorge. On the way, you will walk directly through a puffin colony, so expect to get lots of photo opportunities of the nesting birds. Catch a return trip on the ferry in time for dinner on Sørvágur. Head out for your first stop of the day—the historic village of Kirkjubøur—to enjoy coffee and breakfast with the locals. 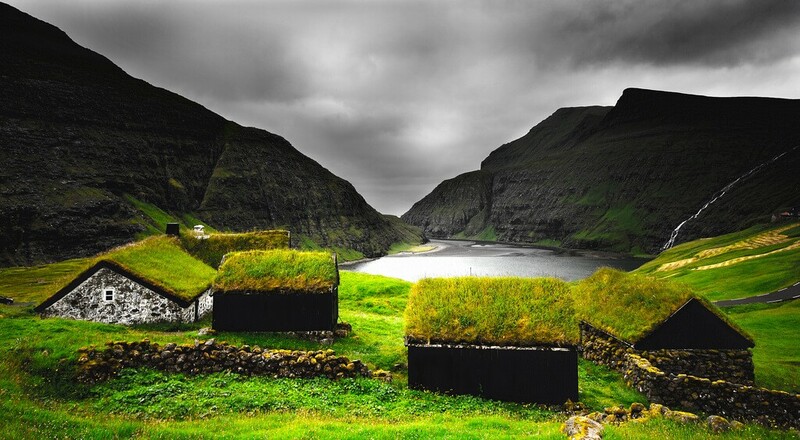 This is the southernmost village on the island of Streymoy and is the country's most historically important site. Visit the ruins of the 14th-century Magnus Cathedral, the 13th-century St. Olav's Church, and the 11th-century Kirkjubøargarður farmhouse, which has been occupied by the same family for 17 generations. From here drive to the village of Saksun to see steep cliffs and go for a relaxed walk along the beach. 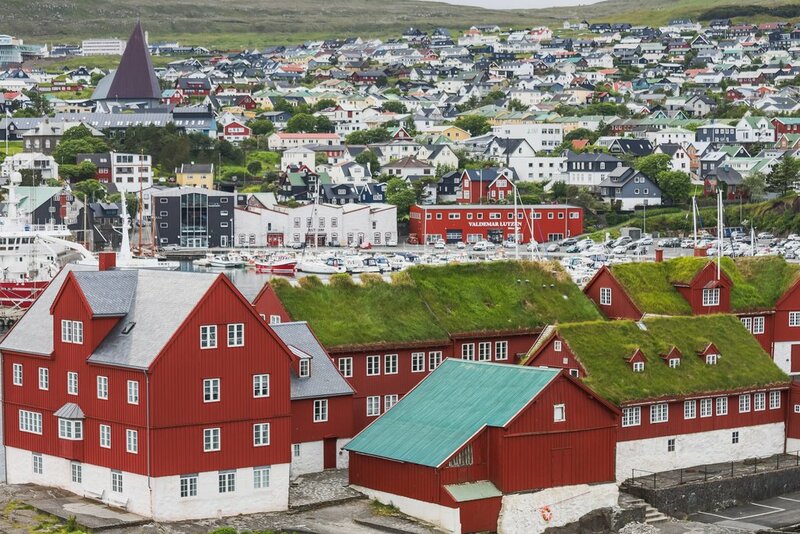 Continue to the village of Tjørnuvík, the northernmost village on Streymoy and a popular destination with surfers. The village is home to one of the oldest Viking burial grounds and is a good place to stop for a lunch with a view. After lunch, take a drive past the highest point on the Faroe Islands and descend to the small village of Gjógv for another stop for coffee, cake, and a chat with the locals. Take the scenic way back to the hotel and enjoy stops for photo opportunities along the way. There are several tour options for you to choose from today. 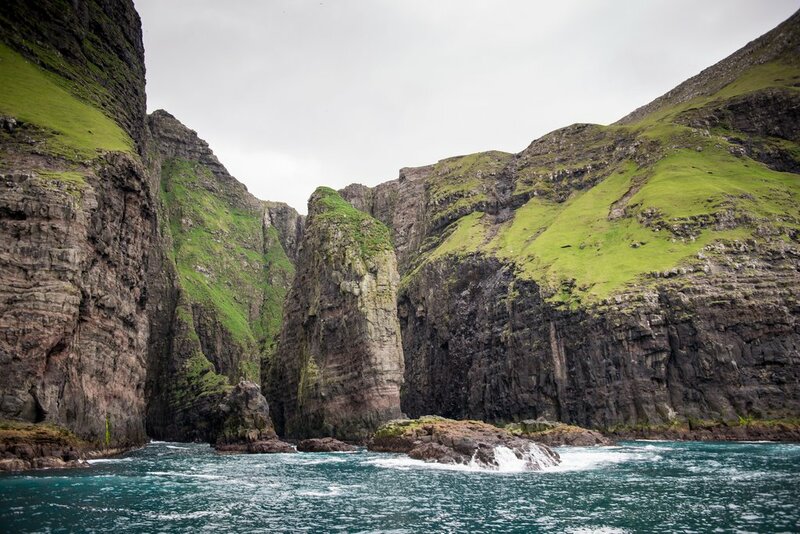 One of the biggest attractions is the popular boat tour to the Bird Cliffs and Grottoes just north of Vestmanna, known as the Vestmannabjørgini. Travel through narrow sounds, into deep grottoes, and alongside 1500ft vertical cliffs where thousands of seabirds nest. 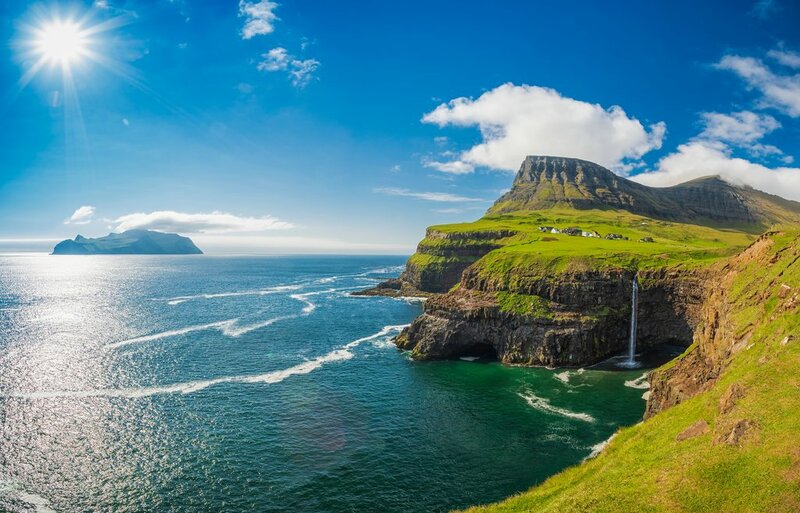 Return back to the main island and head to the village of Gásadalur to see the iconic Mulaføssur waterfall located on the steep cliffs over the North Atlantic. Head back to Tórshavn, stopping in the village of Bøur on the way. Transfer to the airport for your flight home. Travel safe!